An Indonesian woman held two years on suspicion of killing the North Korean leader's half-brother was freed from custody Monday after prosecutors unexpectedly dropped the murder charge against her. An Indonesian woman held for two years on suspicion of killing North Korean leader Kim Jong-un's half-brother was freed from custody Monday after Malaysian prosecutors unexpectedly dropped the murder charge against her. "I feel very happy," she said later at a news conference at the Indonesian Embassy. "I didn't expect that today will be my freedom day." The two young women were accused of smearing VX nerve agent on Kim Jong-nam's face in an airport terminal in Kuala Lumpur on Feb. 13, 2017. They have said they thought they were taking part in a prank for a TV show. They had been the only suspects in custody after four North Korean suspects fled the country the same morning Kim was killed. The trial will resume Thursday, with prosecutors expected to reply to a request by Huong's lawyers asking the government to similarly withdraw the charges against her. Indonesia's government said its continual high-level lobbying resulted in Aisyah's release. The foreign ministry said in a statement that she was "deceived and did not realize at all that she was being manipulated by North Korean intelligence." The ministry said that over the past two years, Aisyah's plight was raised in "every bilateral Indonesia-Malaysia meeting," including at the president's level, the vice-president's level and in regular meetings of the foreign minister and other ministers with their Malaysian counterparts. Aisyah thanked Widodo and his government for helping secure her release. Officials said she was expected to fly back to Jakarta, Indonesia's capital, later Monday. Wearing a red headscarf and a black flowery traditional dress, Aisyah was composed during the news conference. She said that she was well-treated in prison and received plenty of encouragement, but that she was eager to meet her family again. 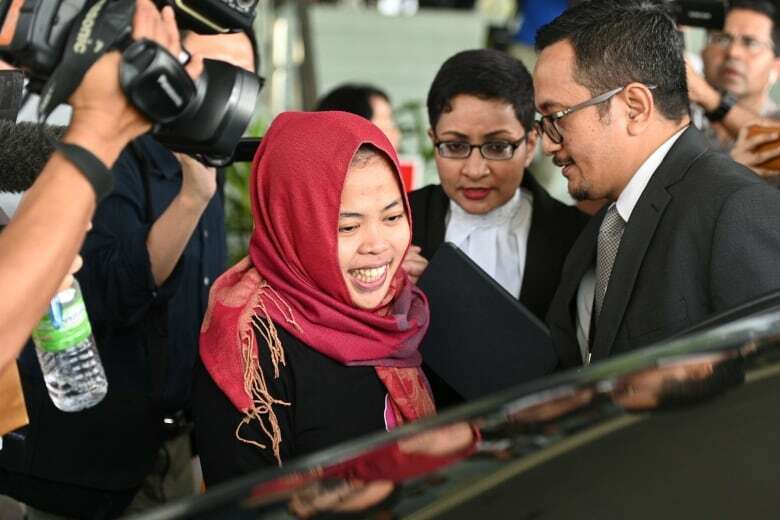 Prosecutor Iskandar Ahmad said that the discharge not amounting to acquittal means Aisyah can be recharged if there is fresh evidence, but that there are no such plans for now. "I am in shock. My mind is blank," a distraught Huong told reporters through a translator after Aisyah left. 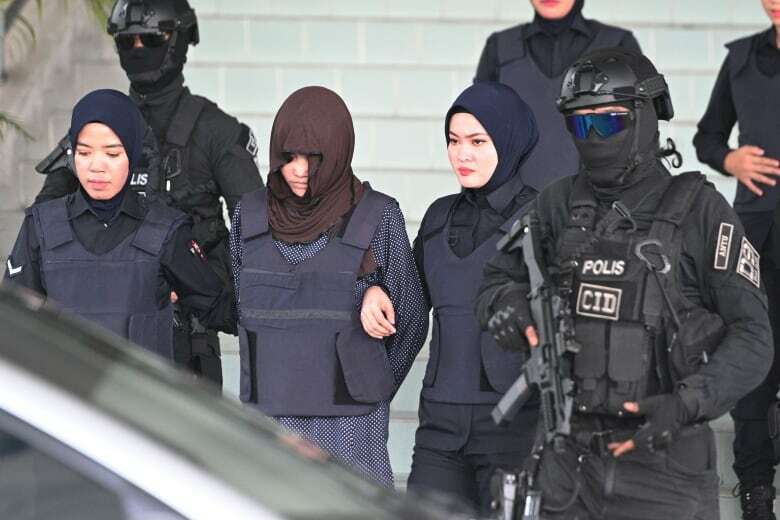 Huong's lawyer Hisyam Teh Poh Teik said Huong felt Aisyah's discharge was unfair to her as the judge last year had found sufficient evidence to continue the murder trial against them. A High Court judge last August had found there was enough evidence to infer Aisyah, Huong and the four missing North Koreans had engaged in a "well-planned conspiracy" to kill Kim Jong-nam. The defence phase of the trial had been scheduled to start in January but was delayed until Monday. Kim was the eldest son in the current generation of North Korea's ruling family. He had been living abroad for years but could have been seen as a threat to Kim Jong-un's rule.